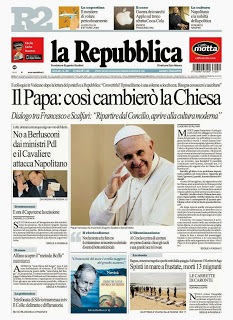 The unscripted papal interview, a thing once unheard of, is fast becoming commonplace. 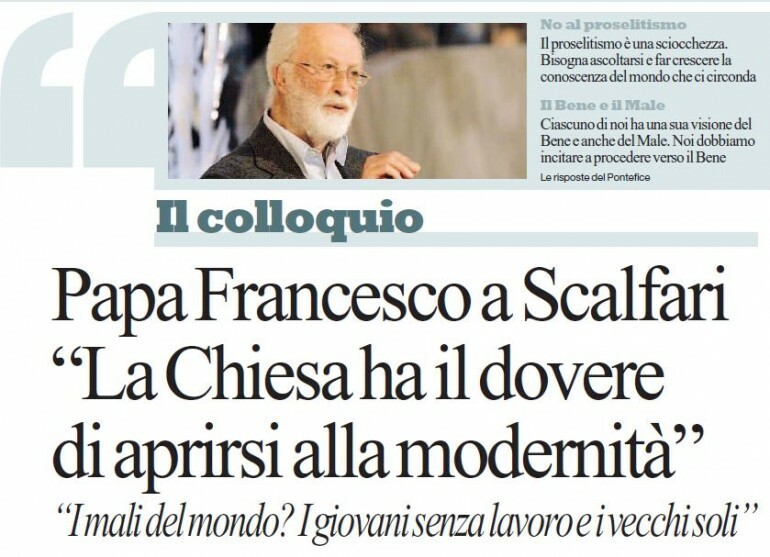 To the first two in July, Globo TV and the papal plane, and last month’s 12,000-word one with Jesuit magazines, can now be added the interview published yesterday in La Repubblica, Italy’s equivalent of the Guardian — left-liberal, anti-clerical, founded by a Catholic turned atheist, Dr Eugenio Scalfari — under the headline, ‘The Pope: How the Church Will Change’. Except that it really wasn’t a press interview so much as a searching, warm conversation between two people attracted to each other across the gulf between faith and atheism. Francis, as ever, said many interesting and important things, which have again caught the headlines. But what the reports have missed is the way the dialogue happens. It has put on view Pope Francis’s extraordinary capacity for friendship-building across boundaries for which he was well known in Buenos Aires, and which the Pope himself captures in the phrase “culture of encounter“. 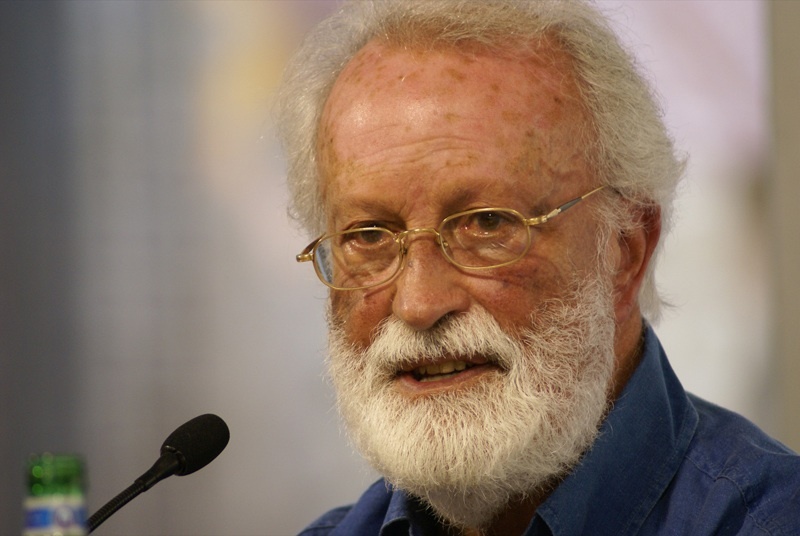 The meeting arose from the 2,000-word response by Pope Francis to Scalfari’s articles of 7 July (“The Responses Which Two Popes Have Not Yet Given”) and 7 August on the encyclical Lumen Fidei. 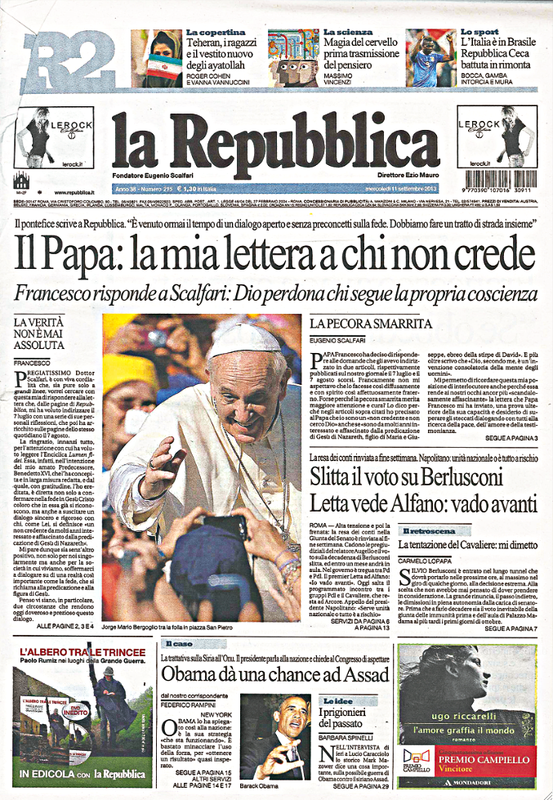 That letter was published by La Repubblica on 11 September as the Pope’s ‘Letter to Unbelievers’. 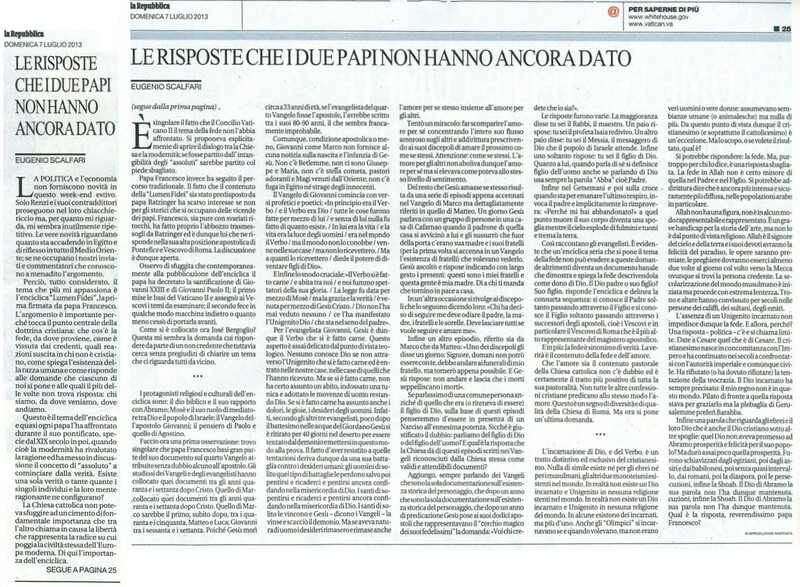 The letter, wrote Scalfari the following day, provoked in him and the Repubblica staff “a great emotion” because of the Pope’s evident sincerity in seeking a respectful dialogue with contemporary culture. He was particularly struck by the Pope’s recognition in the letter of the honest search for the Good among non-believers. Given that – and this is fundamental – God’s mercy has no limits if he who asks for mercy does so in contrition and with a sincere heart, the issue for those who do not believe in God is in obeying their own conscience. In fact, listening and obeying it, means deciding about what is perceived to be good or to be evil. The goodness or the wickedness of our behavior depends on this decision. Moved, Scalfari wrote to the Pope asking to meet him in person. Some days later came “a phone call I will never forget as long as I live”. The meeting took place “at his home in Santa Marta, in a small bare room with a table and five or six chairs and a painting on the wall”, and began with the Pope joking that he had been warned that Scalfari would try to convert him, and Scalfari joking in return that the opposite was more likely. And off they go: is there a single vision of the Good, and who decides? Is love of others the only way to love God? And so on. But it is not so much a series of questions and answers between a journalist and a pope, but an exchange between people who respect each other; and it leads, inevitably, to Scalfari sharing his journey to unbelief — the classic modern tale of a young adolescent believer and churchgoer who at high school comes across Descartes, and ends up believing that the individual, “the seat of free thought”, is the basis of all existence. Scalfari is amazed. Francis has already startled him by the expressions that will create headlines — especially that popes “have often been narcissists, flattered and thrilled by their courtiers” and that the Vatican “court” is “the leprosy of the papacy” — but it’s clear that no subject is off the table. The Pope “looks at me as if to encourage me to ask questions that are even more scandalous and embarrassing for those who guide the Church”, he writes. Yet what follows is a discussion about saints and mysticism — and the relative importance to the Pope of Saints Augustine, Ignatius, Thomas, Francis — until the talk turns to grace, and the exchanges become sharper. 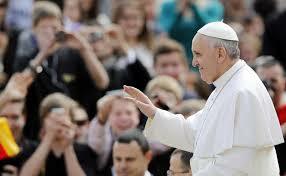 “Even you, without knowing it, could be touched by grace,” the Pope tells him. Francis is reassuring Scalfari that he remains committed to the purpose of the meeting, which is to know and listen to each other; but he refuses to exclude God’s action — grace — in their encounter, which is why he says: “We cannot know that”. We have to be a leavening of life and love and the leavening is infinitely smaller than the mass of fruits, flowers and trees that are born out of it. I believe I have already said that our goal is not to proselytize but to listen to needs, desires and disappointments, despair, hope. We must restore hope to young people, help the old, be open to the future, spread love. Be poor among the poor. We need to include the excluded and preach peace. Vatican II, inspired by Pope Paul VI and John, decided to look to the future with a modern spirit and to be open to modern culture. The Council Fathers knew that being open to modern culture meant religious ecumenism and dialogue with non-believers. But afterwards very little was done in that direction. I have the humility and ambition to want to do something. A crack has opened. Scalfari, who rejected the Church in favour of the ethic of autonomy, has admitted that all is not well, that secularism is insufficient, that western culture in crisis — and that something has been lost that can only be recovered by collaborating with believers. Francis now uses few words. He knows something is happening. Scalfari, an atheist critic of the Church, has now been placed in the unusual position of being asked by the leader of the world’s 1.2bn Catholics, in an interview that will be read by millions, to give his view of the Church. “I think that the institution dominates the poor, missionary Church that you would like”, he ventures. Francis agrees. “In fact, that is the way it is, and in this area you cannot perform miracles”, he says, alluding to St Francis of Assisi’s own struggles with church leaders, which forced him to water down his vision. But being realistic about the Church’s human limitations doesn’t mean change isn’t possible. but I am the Bishop of Rome and Pope of the Catholic world. 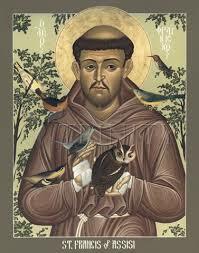 The first thing I decided was to appoint a group of eight cardinals to be my advisers. Not courtiers but wise people who share my own feelings. This is the beginning of a Church with an organization that is not just top-down but also horizontal. When Cardinal Martini talked about focusing on the councils and synods he knew how long and difficult it would be to go in that direction. Gently, but firmly and tenaciously. 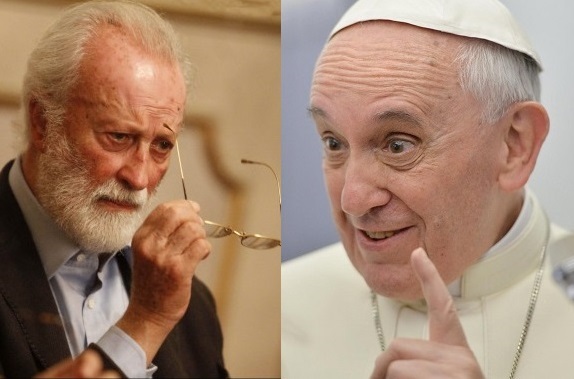 But the Pope senses this is a distraction, and he challenges Scalfari to say what he believes in, “what you think is the essence of the world, indeed the universe”. Scalfari offers a postmodern mélange of the scientific and the ethereal, claiming to believe “in Being, that is in the tissue from which forms, bodies arise”. And he asks Scalfari to do the same, “to define what you call Being”. The Italian responds with a torrent of pseudo-philosophy (“a fabric of energy … chaotic but indestructible energy and eternal chaos … chemical elements, which combine randomly, evolve, and are eventually extinguished but their energy is not destroyed”) until the Pope calls him to a halt. He knows this way lies opacity, not clarity, and calls his interlocutor back to the task. But back to the present. We have made a step forward in our dialogue. We have observed that in society and the world in which we live selfishness has increased more than love for others, and that men of good will must work, each with his own strengths and expertise, to ensure that love for others increases until it is equal and possibly exceeds love for oneself. The rest of the exchange is warm — there is talk of films, books, and Scalfari tells him how the Jesuits hid him from the Nazis — until the two old men embrace and Francis asks him “to think of him often”. They have parted friends, but also collaborators. Francis has caused Scalfari to look again at the Church he once loved, and to admit the painful insufficiency of his philosophy, which is too ethereal to be capable of meeting the challenges of humanity. Scalfar i, through Francis, has felt what GK Chesterton called “the twitch upon the thread” — the longing to return to faith. Meanwhile, Francis has been totally transparent about the Church’s failings, yet so compelling in his vision of a poor Church at the service of humanity that Scalfari wants, in some way yet to be defined, to be a part of it. But he has missed something obvious. A Church that produces, and elects, Pope Francis, cannot be so very far from what Scalfari clearly wants it to be. 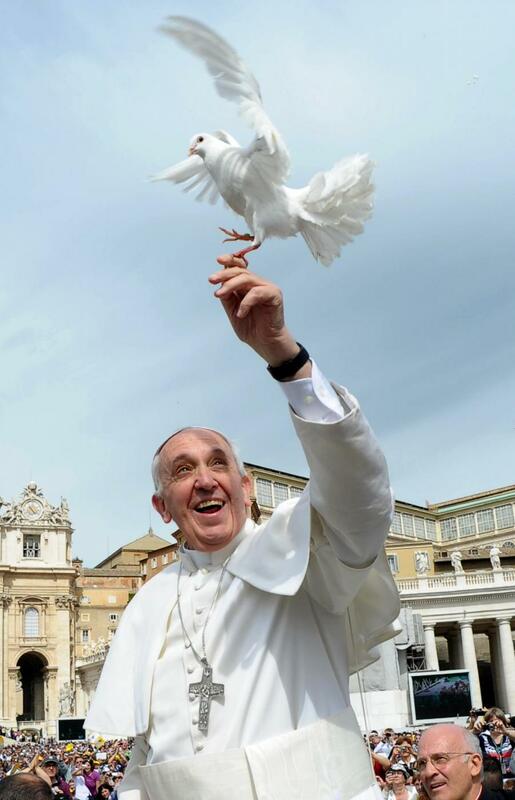 This entry was posted in Uncategorized and tagged Eugenio Scalfari, Pope Francis. Bookmark the permalink.